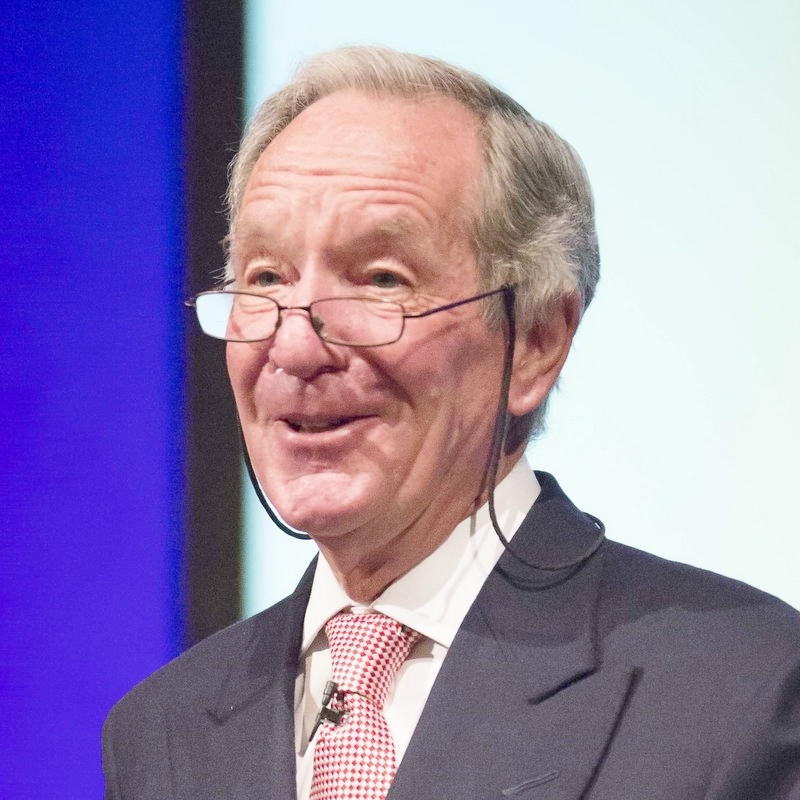 Book Michael Buerk as a keynote speaker. Michael Buerk has probably won more international awards for television reporting than any other British journalist. He has presented the BBC's flagship Ten O'Clock News and currently chairs BBC Radio 4's discussion programme on moral and ethical issues, The Moral Maze. For more information on Keynote speaker Michael Buerk, contact VBQ Speakers founding agent Leo von Bülow-Quirk on leo@vbqspeakers.com or 0044 7833 727090. Michael Buerk has probably won more international awards for television reporting than any other British journalist. He has presented the BBC's flagship Ten O'Clock News and currently chairs BBC Radio 4's discussion programme on moral and ethical issues, The Moral Maze. Michael is best-known for his coverage of the Ethiopian famine for BBC News in 1984/5. His reports, filmed with the Nairobi-based cameraman Mohamed Amin, alerted the world to the extent of the tragedy. Shown worldwide to an audience of billions, they led directly to a massive international relief effort, itself valued in billions of dollars, which was estimated to have saved well over a million lives. Michael was named "Television Journalist of the Year" by the Royal Television Society in 1984 and won a second RTS award that year for foreign reporting. He has also won the British Academy of Film and Television Arts (BAFTA) award for factual broadcasting. He has been awarded the "Golden Nymph" at the Monte Carlo Film and Television Festival - Europe's premier prize for television journalism. In the US, he has won the "National Headliner" and "George Polk" awards, two of the three most important honours for broadcasters in America. In 1988 he was the third recipient of the James Cameron Memorial award - given for "work as a journalist that combined moral vision and professional integrity" - for his coverage of the township uprising in South Africa. Michael is also known for presenting BBC 1's programme about emergencies, 999, and also The Choice for Radio 4, an interview programme about individual dilemmas. In addition, he has recently presented the day-time series Royal Recipes for BBC 1. He has also presented a number of other major series including Discovering Britain for More 4, Britain’s Secret Treasures (in conjunction with the British Museum), Britain’s Secret Homes, Pompeii with Michael Buerk and Inside the National Trust. He has also reported for the investigative programme, Dispatches, on Channel 4. Michael is one of the most respected figures in international journalism, known for his professionalism, integrity and ability to use his medium to bring about positive change. He's excellent as a speaker on international affairs, both in a keynote and after dinner setting, blending anecdotes from his career with penetrating insights about the direction the world is heading. He is also a brilliant interviewer and conference chair. "Michael was a pleasure to work with. He was lovely to have around during the day and we all felt completely at ease with him. General Observations: I would have no problems at all in recommending Michael to other event organisers, he really was exceptional! "